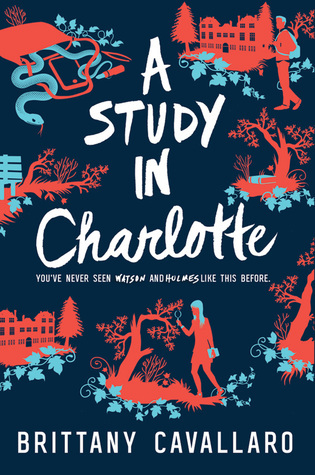 Looking for a YA book very similar to the BBC Sherlock? This is your book! When season 4 of the BBC Sherlock came out, anything with Holmes was hyped. 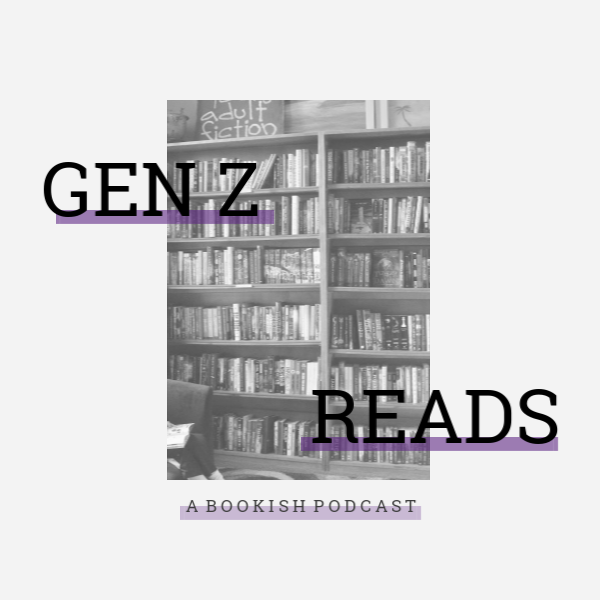 Books, movies, podcasts etc etc. So when I finished the newest season, I was craving for more Sherlock stuff. Hence why I picked up A Study in Charlotte. And altogether, I found this Sherlock retelling to be very thrilling and entertaining! 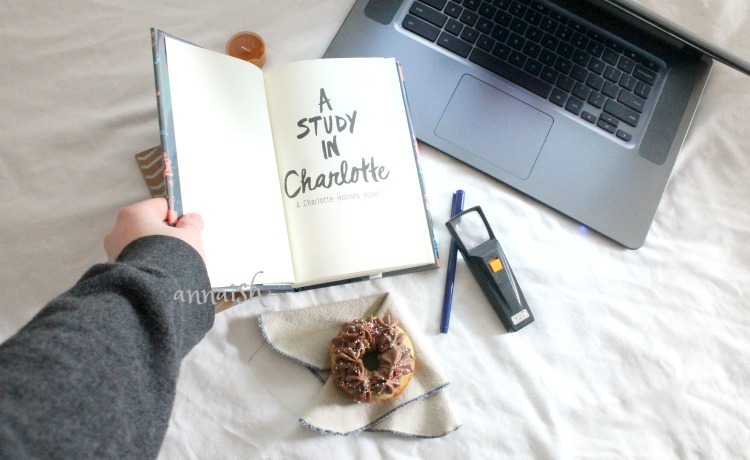 Jamie Watson has always looked up to Charlotte Holmes. He's dreamed of them together, solving mysteries just like their great great great(?) grandparents. Jamie (finally) sees his dream on the horizon - he's attending a boarding school with Charlotte. But then things get messy. Jamie embarrasses himself in front of Charlotte, gets homesick, hates rugby, oh and gets framed for murder, with Charlotte. So, probably my favorite part about this book was these two characters! They were exactly like Watson and Holmes, except as teenagers and more sarcastic haha. Jamie and Charlotter start out almost like rivals but you see them grow and trust each other; I enjoyed that tension. Their relationship was slow and steady .. just like the plot. The plot was focused on the murder but there were a few sidequests along the way. And because of the sidequests, the plot slowed down, a little to slow for me. But everything became worth it at the end. I would say the middle lagged the most. I also felt like the writing lagged too. Lots of info dumps and things got clumpy. *le sigh* The mystery itself was pretty good! It took me awhile to catch on but I guessed everything correct and got it before the characters. I felt proud of myself, I usually never get the clues right haha! So things got too slow for me but I really enjoyed the characters and mystery. I also liked the fact that it was very similar to BBC Sherlock, my favorite "on screen" adaptation! Note: Readers: I've decided to add trigger warnings at the end of my book reviews. I'm finding more of the books I'm reading, others aren't as comfortable as I am reading them. I'm also finding myself looking for trigger warnings because I like to know if any sensitive topics are being covered in the book. I hope everyone understand and this helps! 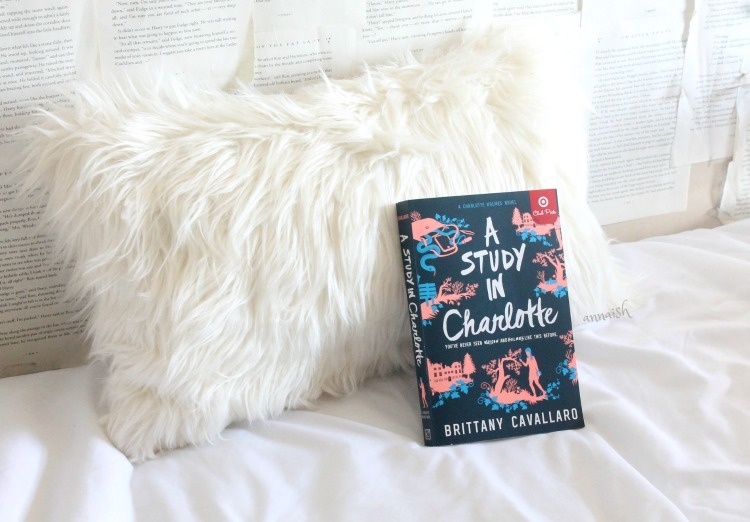 A Study in Charlotte is the perfect Sherlock Holmes retelling for BBC fans and everyone looking for a good, slow sarcastic YA mystery! Hey bookaholics, how's your Saturday? Or your spring break? 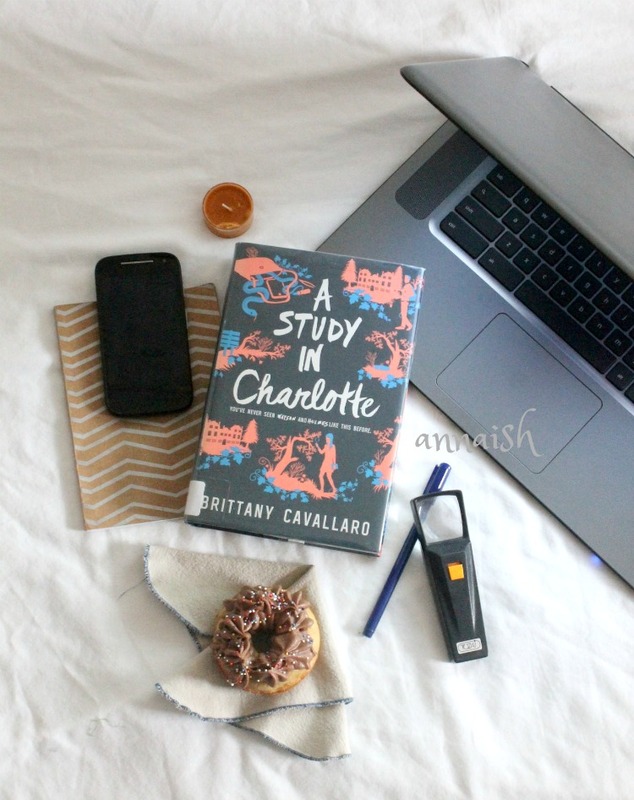 Is 'A Study in Charlotte' going to be your next read? Are you a Sherlock fan? Tell me in the comments! I've kinda put this book on the back burner on my tbr. I've seen it recommended by so many bloggers, but i'm kind of unsure? I don't watch Sherlock but I love a good mystery, so idk. I can see why, but I say give it a go! The mystery/case itself was very entertaining. Oh man .. too bad. But yo - Gemina!! That book was amazing. I have the same struggle haha! Yay! Hi fellow Sherlock fan :D - Agreed! Me too, I loved her Sherlock jokes. Thank you, Erin! Looks like I'll have to give it a go. I've seen it around a heap of times but I've just never bothered to find out what it's all about. Definitely sounds like something I'd enjoy. Woop woop - so exciting!! Enjoy fellow booknerd.